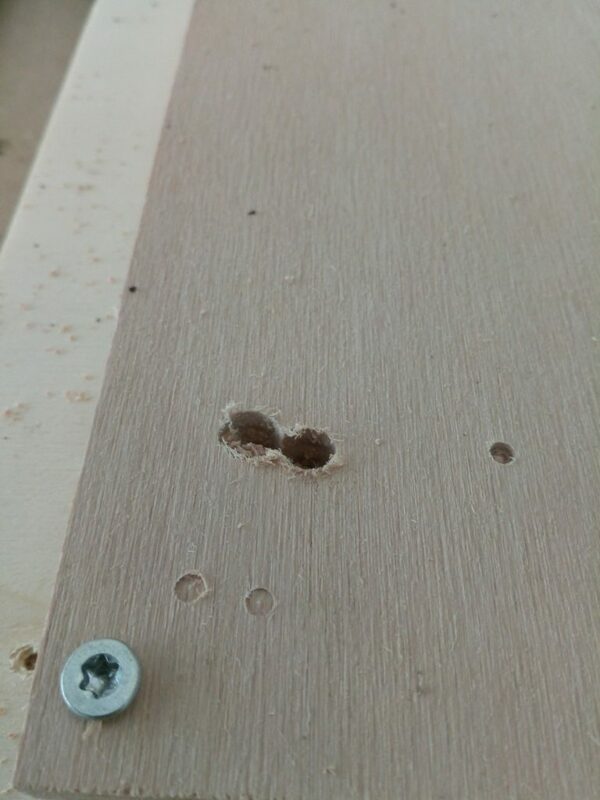 I currently got some problems with drilling holes again. It seems there is something odd in the Z- axis. I didn´t assembled it carefully enough. 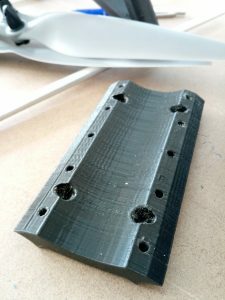 I suppose that the spindle isn´t lowered in a straight line, instead it is tilted on the way down pushing the endmill into the material sideways and ripping a hole into my plywood. 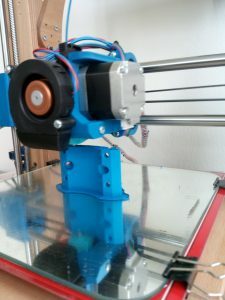 I´m using this as a reason to reprint the tool- and steppermount. When I originally build the MPCNC I had no drillpress and the terrible idea to tap a M4 thread into the stainless. This is a bad idea as it clearly makes the alignment of the screws in the tool mount to the conduit almost impossible. I redrilled the holes and I am now using the original path with the nut traps inside the conduit. 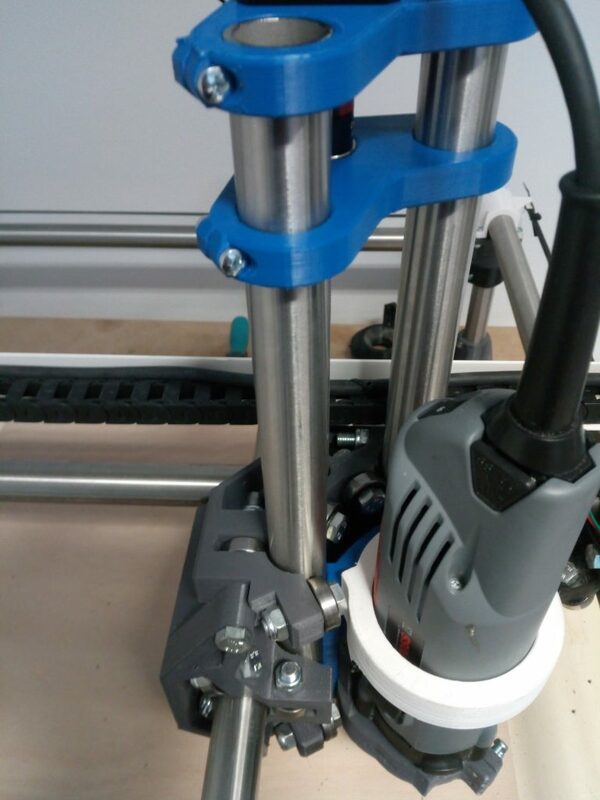 Along with the adjustment of the leadscrew this hopefully improves the precision and rigidity of my z-axis. Finished toolmount replacement. 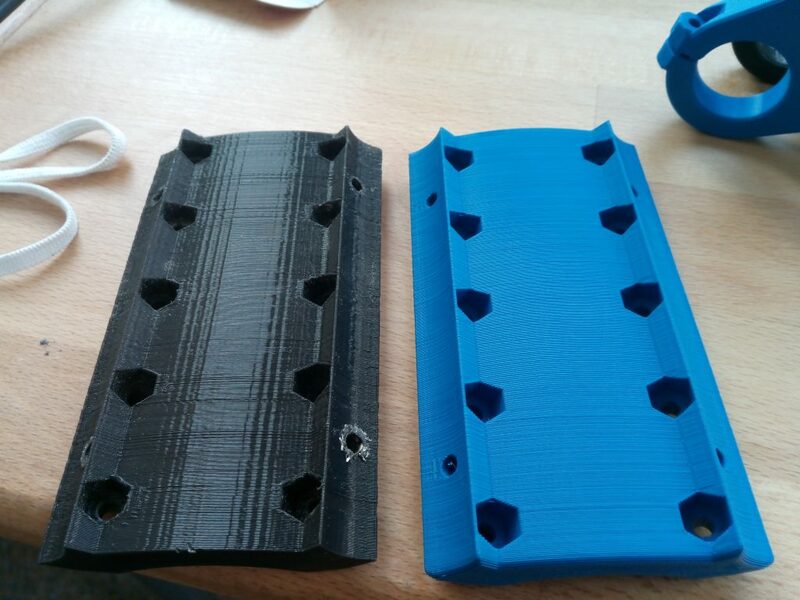 The one on the left was printed with an pre R17 BCN3D Sigma and the right one printed with my DIY printer. Now everything is assembled again. The tubes are now „perfectly“ straight and parallel. I used a glass plate to verify the alignment. I did a short test run and I had the same result as before. 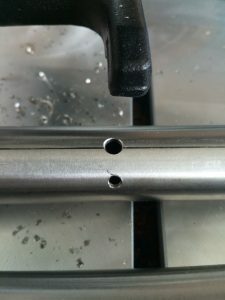 A nice circular vibration and a not very pretty drill hole. I´m using a diamond cut endmill at the moment and went successfully through two sets of printer frames. I´ve been told in ryans formum (viscious1.com) that diamond cut bits are everything but ideal to dive 12mm into beech plywood. They are very robust so they were the only ones that survived when it came to an error. They are compressing the shavings within the hole and that leads to more and more pressure hence the heat rises and the endmill escapes in the circular movement. In the past I ordered a endmill from sorotec which broke after some drilling operations. That left me confused what the error might be. I also tried a shorter endmill originally for aluminum which transported the shavings quiete nicely but was too short. I ordered new endmills again and hopefully all the possible errors caused by the machine are gone and I get my drill patterns and contours out of one endmill.